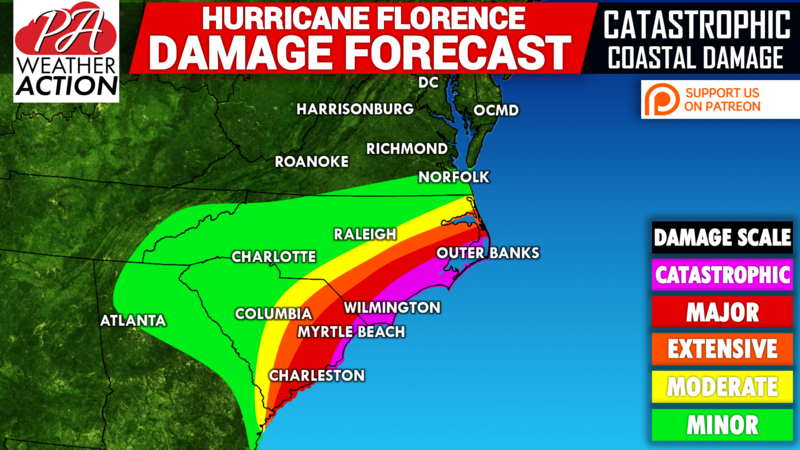 At this point we know Major Hurricane Florence will bring catastrophic impacts to the Outer Banks and Coastal NC. What still remains unclear is where the storm will track after making landfall or near-landfall. Latest runs of the GFS and Euro suggest the storm may not even fully come ashore in Southeast NC before moving back over water. Unfortunately, the models still have the storm within 5-10 miles of landfall so damage would not be any lesser for immediate coastal areas. However, places like Greenville, Fayetteville, and Raleigh would likely see less in the way of damage. A few positives we can take away from this shift is the threat of major flooding in Virginia has greatly subsided. In addition, we don’t expect any major flooding up here in Pennsylvania. The system may make its way up here next week, but we don’t anticipate much from it. However, this shift suddenly puts everywhere from Myrtle Beach to Charleston in the bullseye for major to catastrophic damage. 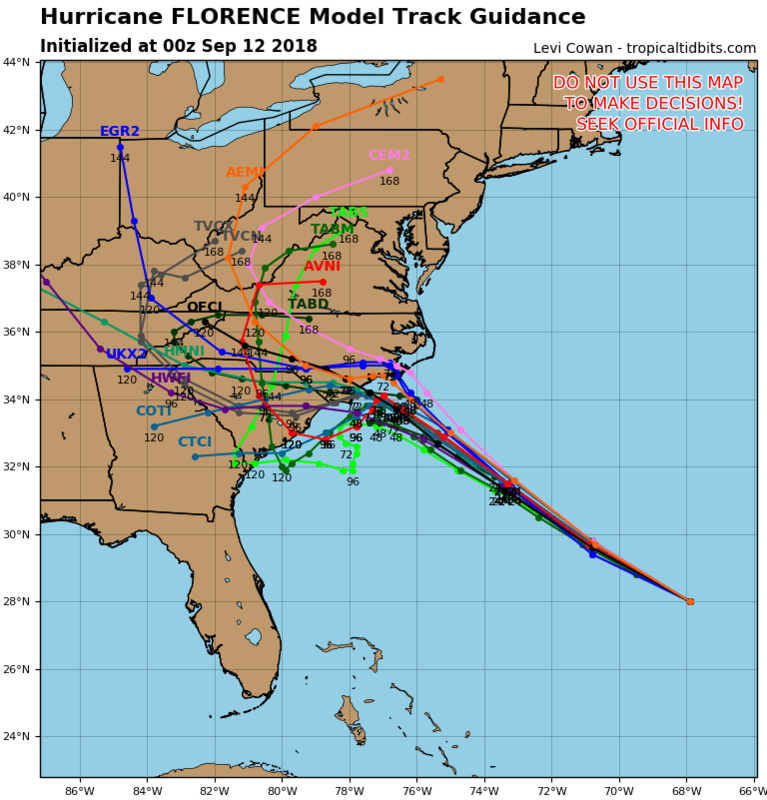 If Florence sits and spins for an entire day just off Wilmington as predicted, rainfall totals of 20″ will be common from Myrtle Beach to Ocracoke, NC. That, combined with winds constantly over 100 MPH will almost inevitably result in widespread structure collapse. Share this unexpected track shift of Hurricane Florence with your family and friends using our icon below!